India has three seasons: Winter, Summer and Monsoon. Unfortunately, August falls right in the rainy season which lasts from the beginning or middle of June until the end of September. This means that there can be heavy durable rainfall in most regions across India in August. Even though it’s mostly off-season for tourism in India, it does not mean you can’t travel. India has more than one climate zone and one needs to differentiate between them. Furthermore, there is no such thing as bad weather, (as my PE teacher used to say), there is only unsuitable clothing and the wrong attitude. You can get off-season bargains for hotels, even for luxurious accommodation, across your stay. A great time for backpackers! You can enjoy most places to yourself with minimal number of tourists so your experience can be more authentic. Kerala and Goa usually receive very heavy rain during the monsoon. It does dampen plans of exploring the state of Kerala or relaxing on the beaches of Goa. When it rains it will rain for hours, it will be heavy, and it may rain for an entire day. Then it can clear up for a couple of days and not rain at all. However, the countryside comes alive during these months. It is gorgeously green and the rivers and lakes are teeming with water. 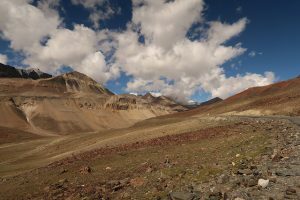 Since it can get still pretty hot and very humid, especially close to the seaside, the hill stations become popular destinations among domestic tourists. 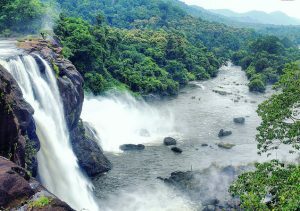 Wayanad, Munnar and Thekkady in Kerala offer lush green nature and mesmerising views. Visit Goa and Kerala in August if you want to enjoy off-season discounts, stay at a lovely luxury resort for less than half the cost and enjoy having the place to yourself. Having a swim in the ocean might be a little dangerous due to the strong currents coming with the south-west monsoon but many of the discounted resorts have pools. In the Backwaters of Kerala there are many snake boat races all over the summer but the biggest is the Nehru Trophy Snake Boat Race in Alleppey that happens every year on the second weekend of August. At the end of August the Onam Festival starts. This is a harvest festival and the most important celebration in Kerala. On the first day you should visit Tripunithura, near Ernakulam in Kochi, to witness a parade with decorated elephants, music and colourfully dressed locals. Goa becomes very hilly and lush the further you travel away from the coast. Here you can hike to the Dudhsagar Waterfall, one of the five highest waterfalls in India but also the most accessible. The rocky surroundings of Hampi, where you can explore temple and palace ruins of an ancient empire, might be worth a visit as it can get very hot and dry in central India during the rest of the year. 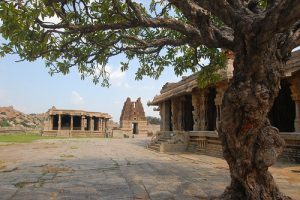 Check out a possible trip route to Hampi here. Try to avoid visiting the state of Tamil Nadu in August. 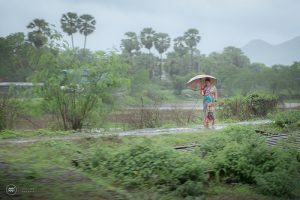 The rains during the first monsoon, (Tamil Nadu faces a second phase of monsoon in December), have been rather weak over the last years, so it can get still very hot and humid without the cooling effects of the rain. While Delhi, Agra, Varanasi and Rajasthan also receive rain during the month of August, the intensity is never the same as in South India. 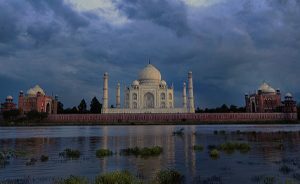 Especially from the foothills of the Himalayas in the north down to central India below Delhi and Agra, the showers are not as heavy and do not last as long. The temperatures cool down during the rains when it is cloudy and overcast and the countryside turns green. In the Thar desert of Rajasthan there might not be any rain at all. If it rains it is strong but doesn’t last long. After a couple of very hot months during the first half of the year, the monsoon months bring some cooling moments to the region. August can actually be quite a nice month to visit North India. It isn’t extremely hot thanks to the rains, there are off-season discounts for most accommodations and services, fewer tourists or crowds, and the pretty lush countryside. But every rainy season is different and sometimes it can rain more in some years than others. It’s definitely more humid than in the winters. The bizarre festival of Krishna Janmashtami happens in August or September. It involves people building human pyramids by climbing on to each other. The biggest events happen in Mumbai and Mathura, close to Agra, where Krishna was born and grown up. Raksha Bandhan. Sisters tie a rakhi (decorated wrist band) around their brother’s wrists and receive gifts in return. It’s a good time to stay at a homestay to observe the celebrations. Independence Day always takes place on 15th August. It’s a national holiday so be prepared for banks, shops and some public buildings to be closed. Most events happen around the Red Fort in Delhi. August is a good month to visit Leh and Ladakh as the weather is clear with minimal or no rain. It can already get cold, especially in the second half of August, so be sure to pack some woollen clothes. The rest of Himalayas, i.e. Himachal Pradesh, Uttrakhand, Sikkim and Darjeeling, get a lot of rain during the month of August and landslides are very common. Rishikesh, Dharamsala and Manali as the most popular cities in this region often face lots of rain so outdoor activities are almost impossible to come by. If you would like to go to Leh a flight might be a better idea than going by road. Check out some route options to travel in the north here. All in all, it is possible to travel to India in August. If you enjoy backpacking with cheaper costs and more authenticity due to fewer tourists, then August is the time for your adventure. Just pack a rain jacket and gum boots and be prepared to spend some time during heavy rains indoors with some ‘chai’ and a good book. If you’re planning to travel to India in August, plan your trip with us now and we create the best trip considering the weather and other conditions. We make sure you will have a great time!